In order to achieve the quality we desire we need craftsmen and women committed to approaching perfection every time they sit at the workbench. The labor force in this region is almost entirely informal, where artisans work as independent contractors with little to no job security and largely sell their goods to tourists in the streets. We provide our craftsmen with a brand new facility, new high quality tools, a legal work contract (a first for all of our artisans), healthcare (another first), paid time off, minimum wage 3x the local average, semi-annual performance bonuses, & flexible work schedules. Our outsourced artisan work with: Atitlan Women's Weaver Co-op, Rodrigues Family Metal Smiths, Teneria San Miguel, and ancillary indigenous suppliers, we pay the normal market rate. It is our mission to bolster these organizations as they compose a brilliant piece of local culture. Going forward we would like to invest human capital into these channels to further refine their respective capabilities. The key is assuring it is constantly mutually beneficial. 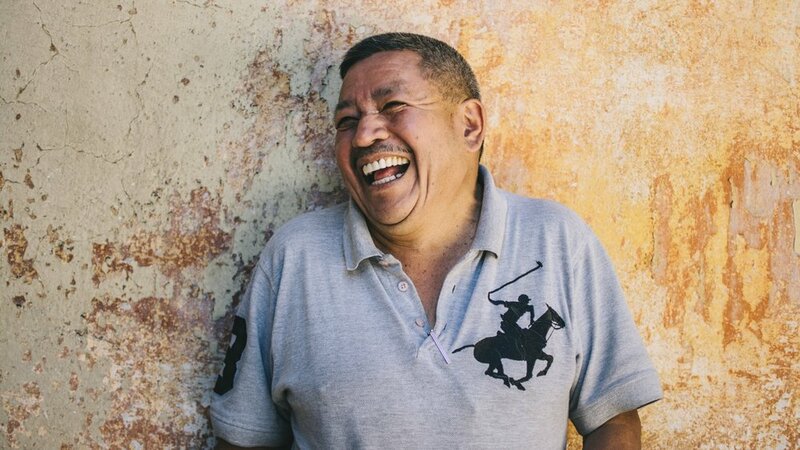 Alberto: "I was a farmer, my father and I used to plant corn in San Pedro. When I was 17 I had to move to Guatemala City to look for a better job opportunity. After moving to the city I had a small place in district 18. At some point there was nothing more to do, with no jobs I had to live in the streets, then I came back to the lake to work in leather. The quality that we are producing at Bolso is delicate, durable, and unique; and I'm proud to know that I'm part of the process in developing the best bags in Guatemala." Elias: "At the age of 20 I found a construction job with a friend. A job that I did for 3 years making 35Q ($4.79) per day. With time I had to immigrate to the city for a better job. I became a shoemaker for a year, and later I came back to the lake to work as shoemaker for 12 years. I love my job, I put in a lot of effort, but the fact that the company I work for gives 20% of their profit is unheard of here. There is a lot of need in the community and I like to know that my work is helping to fulfill the need of San Pedro." Pedro is 43 years old and is a veteran of the industry, with 20 years experience of hand making leather goods. He is a father of two boys, 8 & 11, and is known and loved throughout the community. At home he spends most of his time with his boys and can be seen on bike rides around town. This is Rodrigo, he manages Teneria San Miguel with his siblings after inheriting it from his father who founded the company 65 years ago. They are the most eco-friendly and sophisticated tannery in Central America, winning an award from the United Nations for their efforts. 90% of their water is in a closed-loop system, with 10% being treated before being discharged into the municipal system. Rodrigo invests heavily into Italian training & equipment in order to produce the most refined products possible. This is Anita, who runs Lake Atitlan Women's Weavers, a co-op that hand crafts traditional Mayan textiles from organic cotton and natural organic dyes here in San Pedro. 75% of the proceeds from the sale of the textiles go directly to women artisans working from their homes, often times being the head of the household. You can learn more about the co-op on their website. The Rodrigues family has been casting brass in Antigua, Guatemala for the last 30+ years and is the only brass workshop in the region. They maintain generational artisan techniques; making church bells, the Antiguan door knockers, and numerous other adornments that color the culture in this part of Guatemala. Each piece of Bolso's hardware is hand cast and polished by the Rodrigues family, using the same techniques as their traditional work, creating durable works of art that will gain character as they age.